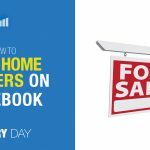 Real estate agents should be running both listing ads and buyer ads on Facebook. Capturing listing leads is more complex than buyers leads, so you should spend most of your time, energy and money trying to attract listing lead. Listing lead is the lifeblood of every real estate agency. I believe Facebook is the #1 place to find listing leads for real estate agents. There is no other platform where an agent can show an ad to everyone in their local area who owns a home and earns over $150K per year. Facebook alone has this power, and as an agent, you need to take advantage of it or your competitors will. 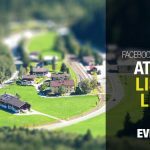 There is a lot of activity and growth happening on the Facebook platform for advertisers, and real estate agents are in the best position to take advantage. 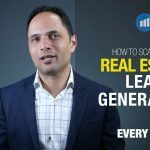 I recommend watching my video on 6 components of a successful Real estate Facebook Ads Campaign to learn how to setup your first campaign to generate the listing lead.